​Looking to have gutters installed? We do that too! We offer installation of aluminum gutters, down spouts, fascia, heated gutters and basic gutters. We can give you estimates of how much installation would be and set up a convenient time to start work on your project. 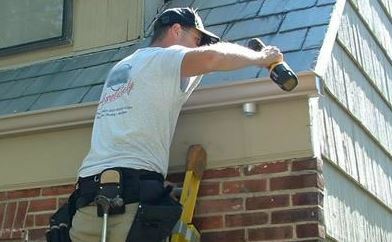 Installing gutters is more difficult than most people think, and is not the best choice for a first time DIY project. Calling on us will get your gutters installed correctly, the first time. Gutter cleaning is job that will save home and business owners money in the long run, but is a job that no one really wants to do. Trust the best at Beaverton Gutter Pros to do the work for you! WE have the gutter cleaning tools, equipment and guards that are needed to safely and efficiently clean any type of gutter out there. Without proper gutter cleaning, gutters could fail to work properly and even eventually need to be replaced. Having us clean and install your gutters on a regular schedule will prevent future water damage from a gutter that is dirty or clogged. Beaverton Gutter Pros are simply the best. We do everything we can to make sure every job is completed in a timely and professional manner. No one can beat our experience or knowledge, so contact us today and let us show you why we are the best gutter company out there! You will never be disappointed by making a call and seeing what we have to offer. You no doubt will be surprised by the quality and price that our company offers on all of our jobs, regardless of how big or small.